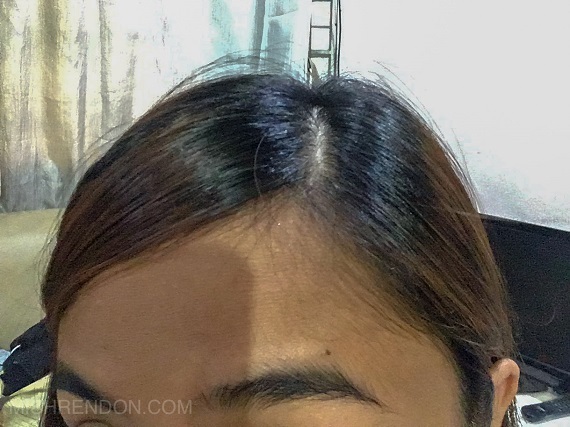 Ever since I discovered Liese, it has been my go-to product when it comes to DIY hair coloring. I find it convenient and easy to use, plus it's available in BeautyMNL so I can just purchase online (especially since I barely have the time to go to the mall to buy). 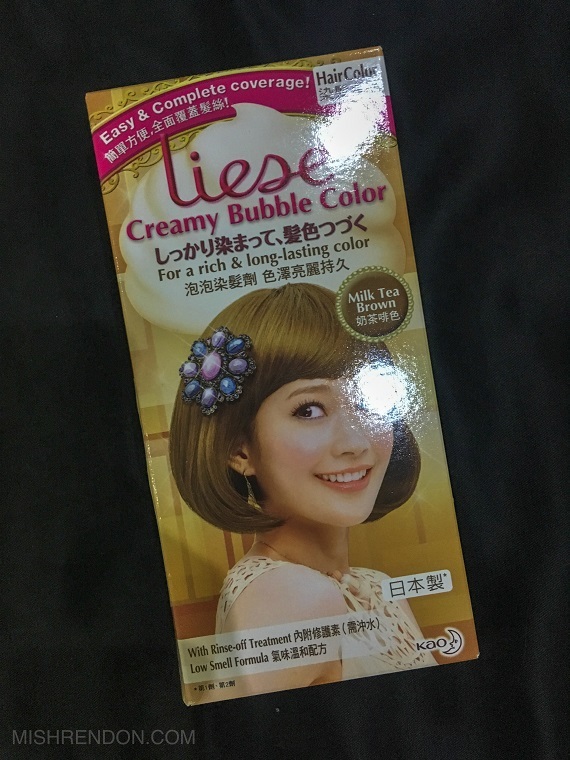 Liese used to be sold by online shops only, but I think they started to be available at Watsons since around two years ago. 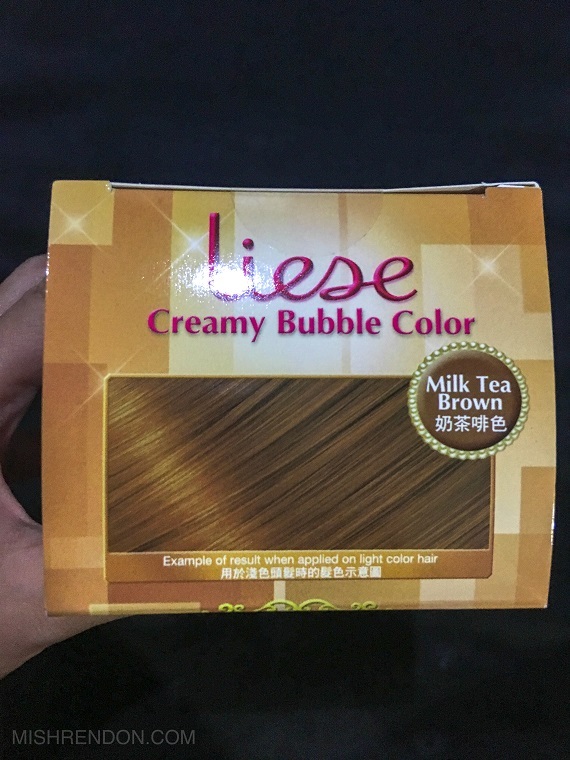 Liese offers numerous shades but this time I'll be doing a review of the Milk Tea Brown shade. As far as I know, it's the lightest shade in their Natural Brown series. 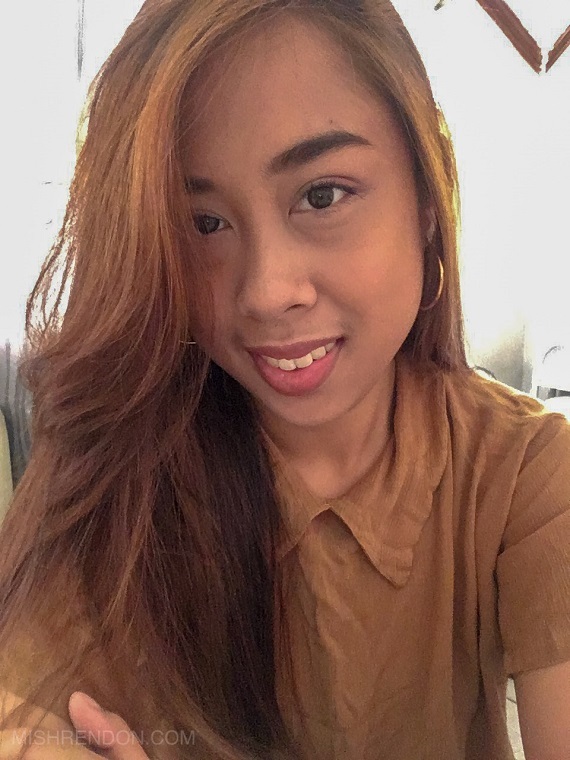 It's not really my favorite shade, but I wanna share how my hair turned out after using the product. Creamy bubble color for a rich and long lasting color. Easy to apply. No drip bubble formula. The box contains two solutions, rinse off hair treatment, foamer cap, a pair of gloves, and the instructions sheet. You may need a cape to protect your skin and clothes from getting stained. As for me, I just use old clothes when dyeing my hair. I suggest you read the instructions very carefully. Since this is not your typical DIY hair color treatment, preparing the product consists of a different method. With Liese, you just have to pour in the smaller solution bottle into the bigger solution bottle. Tilt it several times until both mix. Do not shake the bottle! After mixing it, replace the bottle cap with the foamer cap. 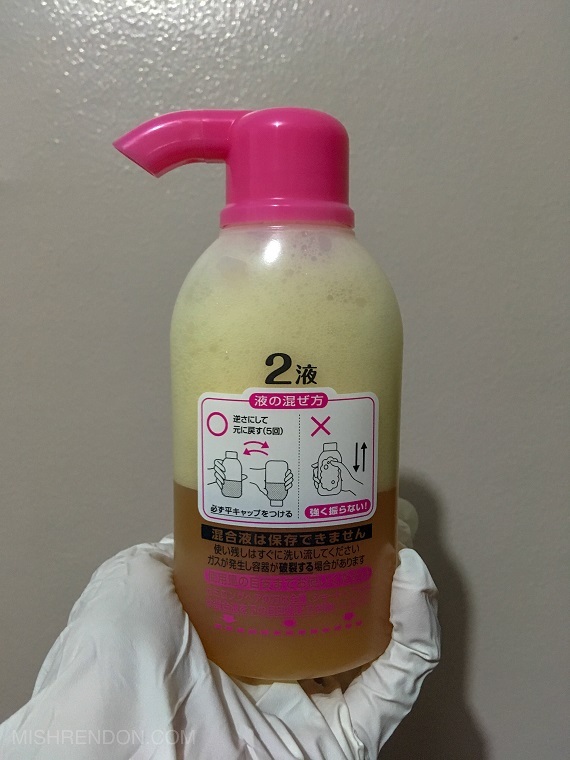 Just squeeze the bottle to expel the bubble foam and then apply it to dry hair. Squeeze the bottle to dispense the foam. This was the first ones that came out of the bottle so it was quite runny. The next batches were foamy and non-drip. Apply the same to DRY hair. 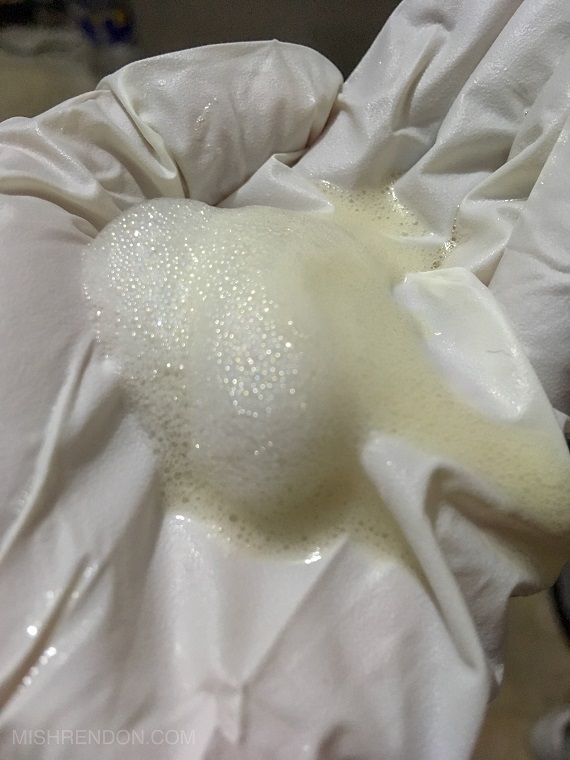 The bubble foam literally does not drip. You can even design your hair as you please while waiting for the product to develop. If you are retouching the roots, I suggest you start with the roots so that the product would stay longer there. Otherwise, start at least one inch away from the scalp to the ends and leave it for at least 20 minutes. After such, put product to the roots and leave it for another 20 minutes. 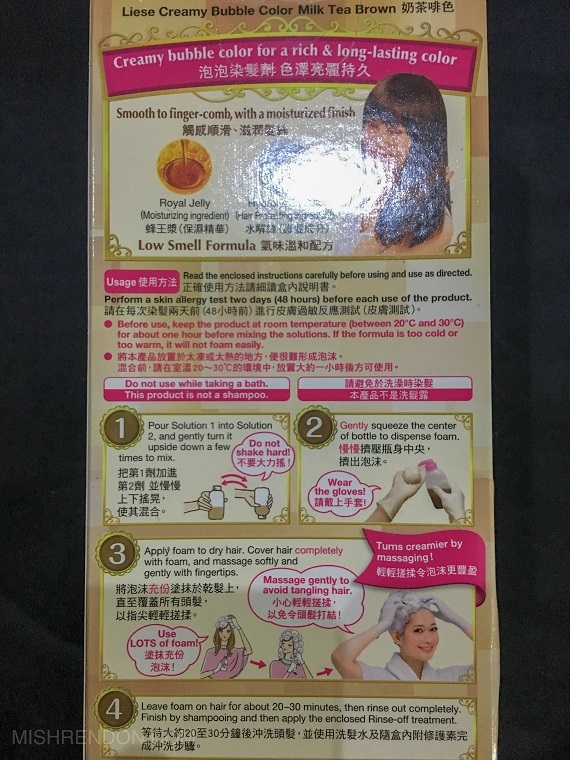 The instructions suggest that you leave the product in your hair for 20 to 30 minutes only. I personally leave it on for at least 1 hour to make sure that the product is absorbed well and for the color to develop well. Right after coloring. The black roots are gone. One day after. My hair looks extra orangey because of the lighting. But I was surprised as to how light my hair turned out. It lightened my resilient black roots effectively. This product is actually better than most DIY hair color products I have tried. 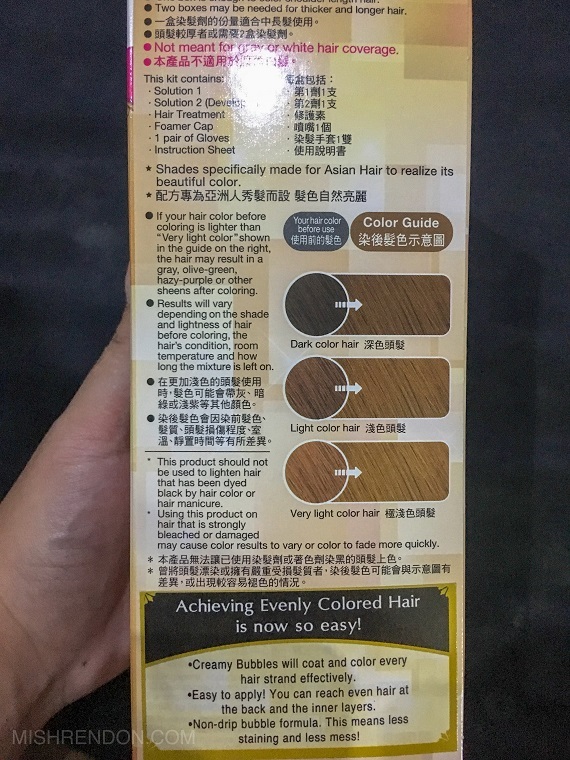 Most hair color products do not produce the color that's on the box, but this one is quite true to the color it promises. My hair color looks relatively even. I had a different hair color prior to using this product and it still looks decent. The product was just enough for my long hair. If you have super long hair though, you might have to use two boxes. Easy to use. Just follow the instructions and you're good to go. Fun to use as well! You could design your hair while waiting for the product to develop. No stains on the skin. 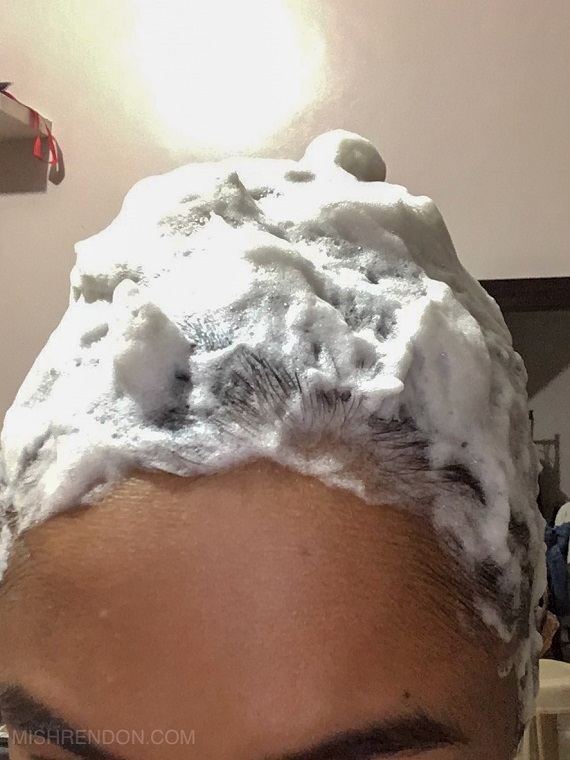 My hair felt soft even after rinsing the bubble color. It is the only hair product that I have used that didn't dry up my hair so much. The rinse off treatment made my hair extremely soft. It is relatively affordable. Each box costs only P419 at Beautymnl and P449 at Watsons. Easily available at Watsons, SM Department Store, and online (online shops or Beautymnl). The color fades after a few weeks and turns really brassy. I have orange/blonde-orange hair after some time. 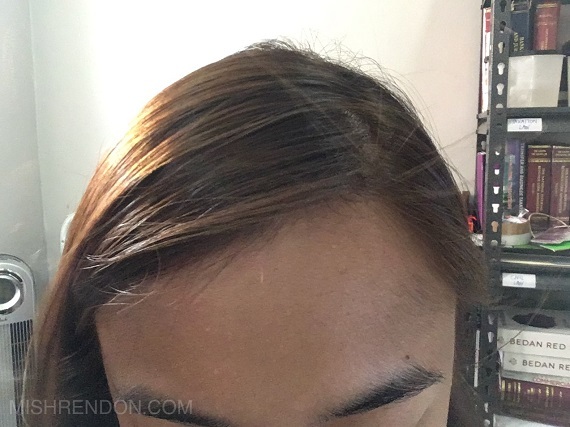 It's the first time I used a different shade (aside from Rose Tea Brown) and I was shocked as to how light my hair turned out. This can be a good or a bad thing depending on how light you want your hair color to be. My hair becomes dry after quite some time, even with regular conditioning. So I guess it's best to use a separate treatment to minimize damage. The scent while applying can be quite disturbing and sometimes I feel like the product goes into my eyes. Be sure to have your hair colored in a well ventilated area. I still have two other shades to review from Liese. I want to try other shades from them but I keep on going back to Rose Tea Brown (which I will be reviewing next). Hope this helps!